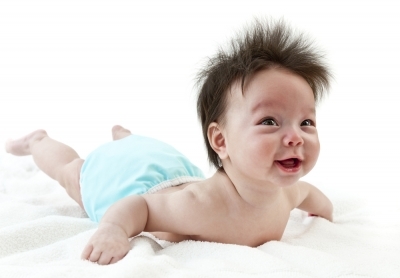 Nappy rash is a very common complaint and, except in very severe cases, you don’t need to consult your doctor. 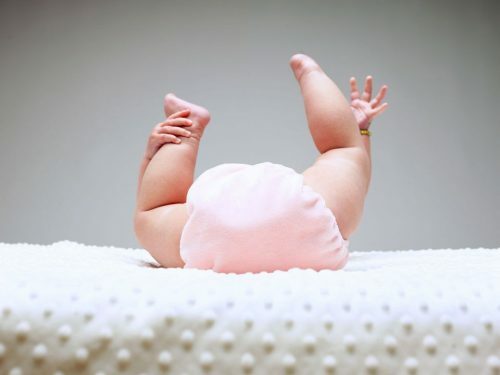 As the name suggests, nappy rash is a skin irritation on the baby’s bottom or genital area – the parts usually covered by a nappy. When your child’s skin comes into continued contact with ammonia, which both urine and faeces contain, this can cause a pink or red rash in patches or spots. This is often sore and sensitive and will cause your baby evident discomfort. Nappy rash can also be caused by fungal infections, which tend to develop in warm, humid conditions such as those found in nappies. Allow your baby as much time as possible without a nappy on, as this will allow plenty of air to get to the affected areas. In case of accidents, it’s worth lying your baby on a towel or, if she has started rolling, crawling or is otherwise mobile, on a floor that is easy to wipe clean. Ensure the room is not too cold; you could even take her outside if it’s warm enough. Try washing the affected area with a herbal infusion, such as lavender or chamomile, which will help to protect your baby’s skin and hasten the healing process. Try homeopathy: calendula cream is great for soothing the unpleasant burning and itching caused by nappy rash. Don’t lay it on too thickly, though; apply a thin layer to the affected area (thin enough that you can clearly see the skin) before putting on a clean nappy. Calendula cream will also provide a layer that will protect your baby’s skin from the effects of ammonia. If the nappy rash has developed to the extent where the skin is cracked or broken, or blisters or swellings have appeared, take your baby to the doctor, as this may be a sign that there is some kind of infection. Simply put, constipation is when faeces becomes harder and drier than usual, making it difficult and even painful to go to the toilet. If your infant is suffering from this condition, this may be indicated by evident discomfort when she is trying to empty her bowels, or she may not go to the toilet as often as she usually does. Most of us will be familiar with this unpleasant condition, which can have a variety of causes – the majority of which are not serious. If constipation is not dealt with quickly, however, it can result in problems due to the build-up of waste product in your baby’s intestines. Bottle-fed babies often suffer in this way because formula milk is much harder to digest than breast milk (breast milk is easier for a child to digest than pretty much anything else, so when you start to wean your breastfed baby onto solid food, you may find she suffers from constipation). Try fruit juices: some juices, such as grape and prune juice, can help relieve constipation, though it’s a good idea to talk to your healthcare provider before introducing new foods to very young babies. Around 50 ml (2 fl oz) of diluted fruit juice twice a day is usually recommended. Give your baby (if weaned) high-fibre foods, such as fruit (not bananas), vegetables, beans and wholemeal grain foods; these will help tackle constipation. Avoid giving too much squash or milk, which tends to have the opposite effect. 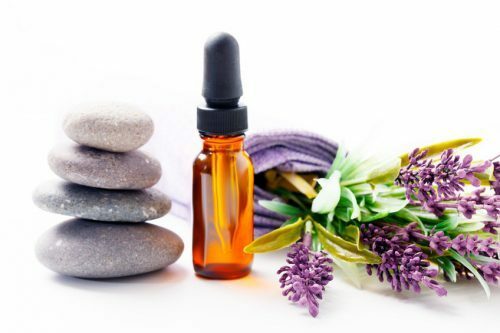 Bath your baby in warm water with a drop or two of lavender essential oil. This has two benefits, as the lavender will help ease any pain caused by constipation, while the warmth of the water should help to relax your baby, allowing ‘things’ to get moving. 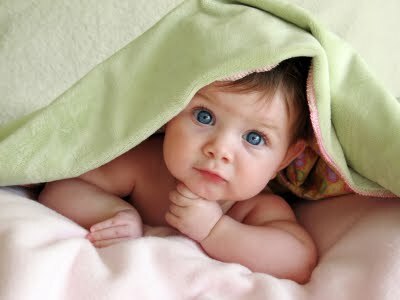 Gently massage and rub your baby’s tummy in a spiral motion, starting at the belly button and gradually moving outwards. As the digestive tract is laid out in a clockwise direction, it’s important not to massage anti-clockwise. With your baby lying on her back with her legs lightly held in a half-bent position, slowly move the legs as though pedalling a bicycle. This can also help to relieve excess gas. Essentially the opposite of constipation, diarrhoea is often more concerning and distressing, though neither condition is pleasant. It is usually defined as the passing of loose or watery faeces at least six times in a single day – often at the most inconvenient of times for parents to deal with! There are a number of things that can cause babies to suffer from diarrhoea, including bacterial or viral infections, intolerance to certain types of food that they find hard to digest, teething, or it may be that something has upset your baby or made her anxious. The bottom line is that, while with constipation too much fluid is absorbed from the bowel, with diarrhoea something is preventing that fluid from being absorbed properly. Feed weaned babies mashed ripe banana – this will help their digestive system recover. Adding a teaspoonful of pectin-rich carob powder will also assist in binding things together. Give your baby some aniseed water, as this will help to calm upset intestines and encourage gas to be passed. Simply grind one or two points of star anise as finely as possible and pour half a cup of boiling water over it. 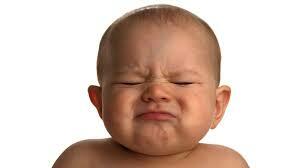 Once this has cooled, use a dropper to give your baby 3–6 drops orally whenever there are signs of an upset stomach. If your baby’s diarrhoea is accompanied by fever or vomiting, or if she has had six or more occurrences of diarrhoea in the space of twenty-four hours, consult your doctor. © 2019 Mumma Love Organics, All Rights Reserved. Registered in England No: 321860515. SEO Services by Online Marketing Specialist, Improve Position. Designed by Bennie Jane Cross.